Your home is an investment that needs to be maintained and protected. You put plenty of time and energy into keeping up the inside of your home -- what about the outside? In order to keep your lawn and landscape looking its finest, you need a company that is reliable and has the experience and equipment to get the job done right. 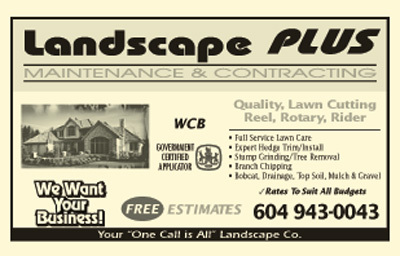 We offer professional services to meet your commerical or residential landscaping needs. We've worked on a wide variety of projects, here you'll find a few of our recent projects. Do you have a question? Are you looking for a solution to a landscape dilemma? 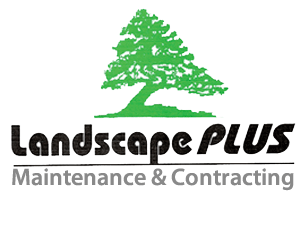 At Landscape Plus, we work with our clients to determine all aspects of your landscaping needs in order to deliver a plan that works best for you. We provide a diversity of services from difficult to reach tree trimming to custom retaining walls. Contact us for a free consultation. During this past month I've had three couples actually stop and ask me about my yard, they are very impressed. I have referred you with flying recomendations.